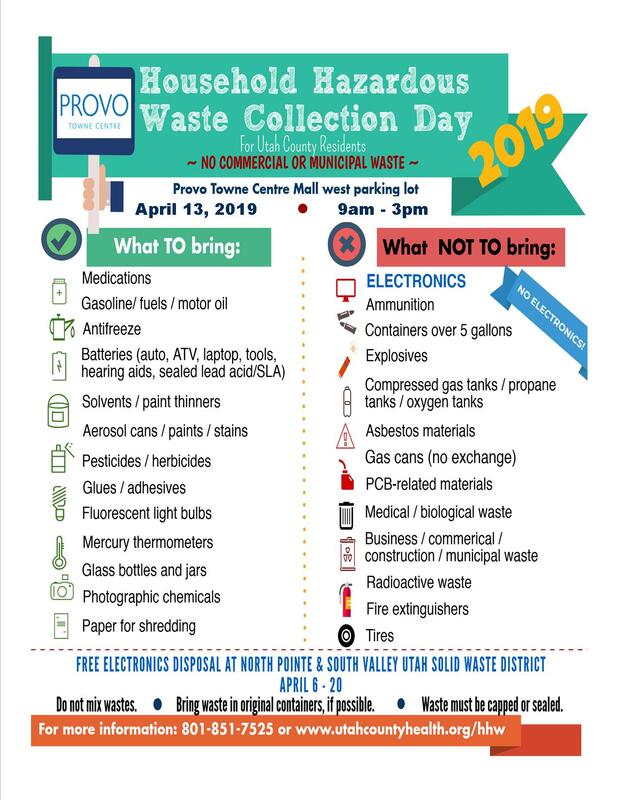 Utah County residents with household hazardous waste items such as old gasoline, paint, fluorescent light bulbs, batteries, and unused medications will be offered safe disposal of these items at a Household Hazardous Waste Collection Day on Saturday, April 13, from 9 a.m. to 3 p.m. The collection will take place in the west parking lot of the Provo Towne Centre Mall in Provo. 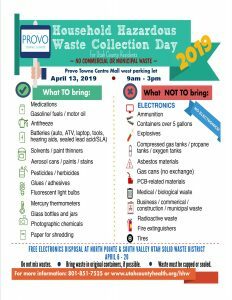 For details, including a list of what will or will not be collected, please visit Utah County Health Department website or call 801-225-8538. WHEN: Saturday, April 13, 2019 – 9 a.m. to 3 p.m.